Type "how long to get pregnant if you've been on the pill" into any search engine and you're going to receive several different answers. There really is no secret formula when it comes to conceiving after taking the pill...it just depends on how your body works. Considering that some women actually get pregnant while faithfully taking birth control pills while other women go for years after stopping the pill before conceiving, it's obvious that individual body differences have a major affect on how long it takes to get pregnant after discontinuing birth control pills. Go to ten doctors and you will get ten different opinions. Some doctors give an actual time span of when you should allow your body to "cleanse" itself of the birth control prior to getting pregnant. 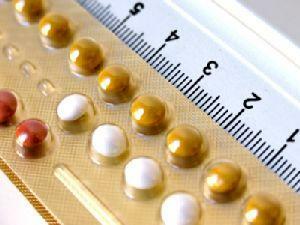 Other doctors simply urge women to finish up a cycle of birth control pills before quitting. Still other doctors give the thumbs up to quit pills and begin attempting to conceive immediately. There have been no studies to support the idea of pregnancy complications related to birth control usage prior to conceiving. Many women like the idea of having an intentional time of preconception when they are not yet actively attempting to have a baby, but the plans are on the horizon. Some women take this time to get as healthy as possible while also weaning off any bad habits such as cigarettes and caffeine. These women may also take this time to stop birth control pills while also employing an alternative method of contraception such as condoms. Doctors usually applaud this type of preplanning, and may suggest the inclusion of a multi-vitamin with folic acid during this time. One of the biggest obstacles many women face when stopping birth control and trying to conceive is that ovulation and the menstrual cycle can become sporadic in the first few months. Women who are trying to track their periods to figure out their ovulation time can get quite frustrated when their periods don't follow the same predictable schedule they did while on the pill. If you had predictable periods before starting birth control, you will probably return to these same predictable periods after some time. The chances of your period being sporadic after stopping birth control are relatively likely if your period was sporadic before you began taking the pill. This means that if you have never had a regular period--except when on birth control pills--you may not have a regular period after stopping birth control pills either. So how long to get pregnant if you've been on the pill? There simply is no crystal clear answer. An old wives' tale states that it will take your body the same amount of time that you were on the pill until everything is flushed out of your system and you're able to conceive. In other words, a woman who took birth control for two years will have two years before she can conceive, and a woman who took birth control for eight years will have to wait eight years. There is absolutely no scientific basis for this theory, so don't worry if you have been taking birth control pills for ten years; you may stop the pills today and get pregnant tomorrow. It's all just a matter of how quickly your body's ovulation cycle returns to normal. If you need a little help with figuring out when exactly you are ovulating, consider purchasing a home ovulation kit. You can purchase these kits at grocery stores and pharmacies. If you have further concerns about birth control usage and how it will affect your chances of getting pregnant, talk to your doctor or other medical professional.